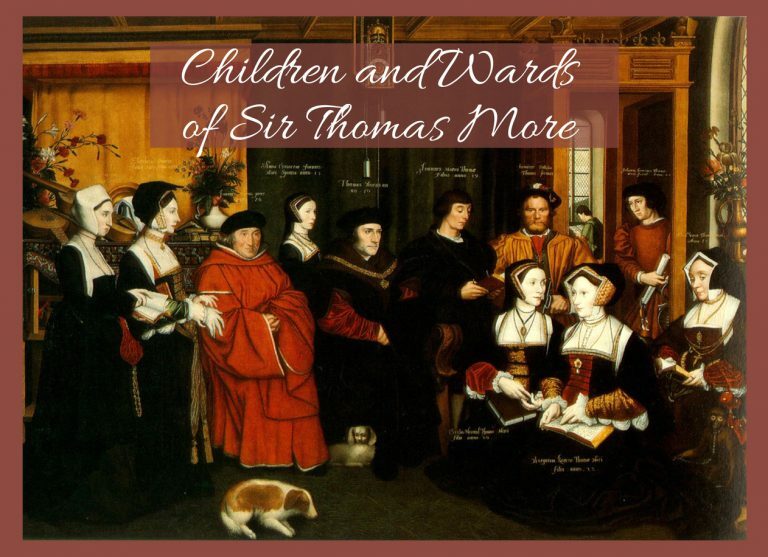 Thomas More was born in London on 7 February 1478. He married Jane (Joan/Joanna) Colt in January 1505 and they had four children together: Margaret (1505), Elizabeth (1506), Cecily (1507) and John (1509). Jane died in 1511. Shortly after the death of his first wife Thomas married for a second time to a widow by the name of Alice Middleton. 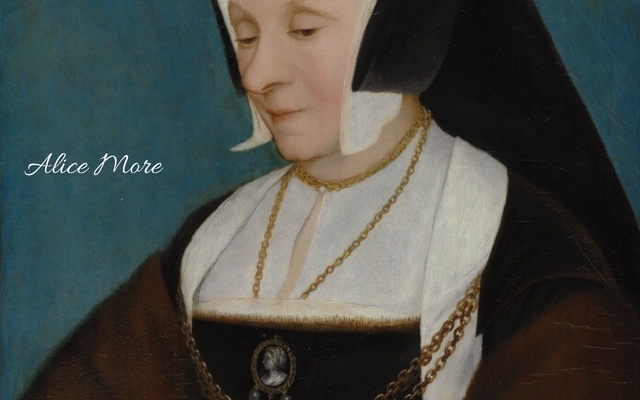 Born in 1505, Margaret was the oldest daughter and favorite child of Sir Thomas More. She was highly educated and extremely devoted, just like her father. 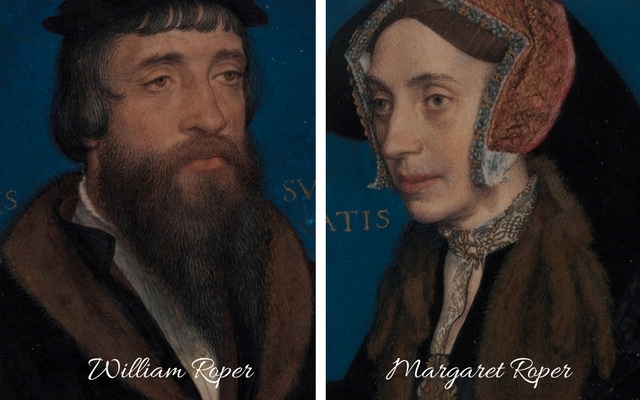 In 1520/1, Margaret married William Roper who became a member of the More household just a couple of years prior to their marriage. After the execution of her father in July 1535, Margaret rescued his severed head from London Bridge and incurred charges for it. She was later pardoned. 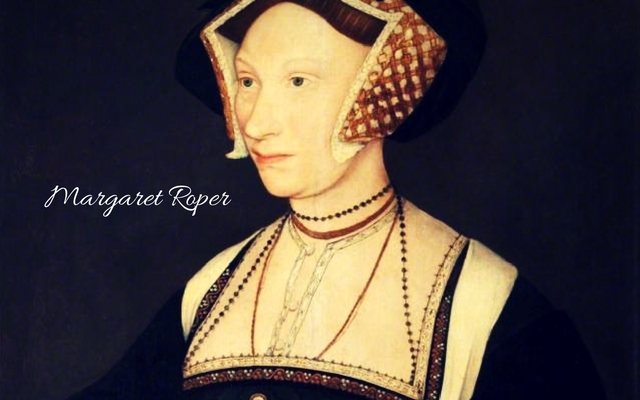 Margaret Roper died on Christmas Day in 1544. Elizabeth was the second child and daughter of Thomas More and his first wife, Jane (Joan/Joanna) Colt. 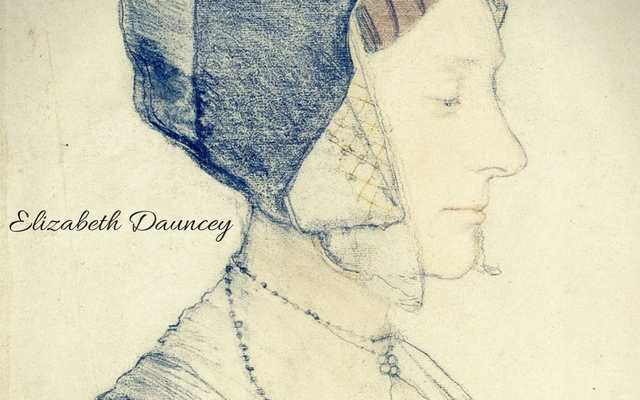 She married William Dauncey in 1525. Elizabeth and William had seven children: John, Thomas, Bartholomew, William, Germain, Alice and Elizabeth. In 1543, her husband and grandfather (John More) along with others were implicated in the Plot of Prebendaries of Canterbury. The Prebendaries’ Plot was an attempt to oust Thomas Cranmer from the office of archbishop of Canterbury. They were later pardoned. On 29 September 1525, Cecily married Giles Heron who was ward to Thomas More in 1523 after the death of his father. Cecily and Giles had three children: Thomas, John and Anne. Giles Heron was hanged, drawn and quartered at Tyburn on charges of treason in 1540. John was the youngest of More’s children with Jane Colt and his only son. 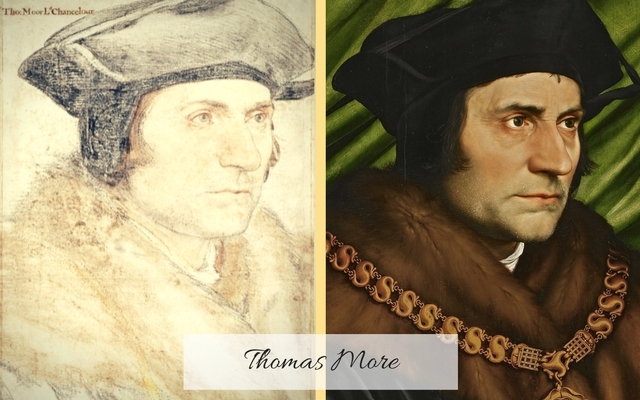 It appears that John was named at Thomas More’s father, John More. In 1527, John became betrothed to his father’s ward, Anne Cresacre. They married and had eight children together: Thomas II, Augustine, Edward, Gerome, Thomas III, Bartholomew, Anne, Francis. During his father’s downfall John was behind his father’s decisions. Because of this John was also under scrutiny. He was imprisoned in the Tower of London, heavily interrogated and eventually released. After the execution of his father he was suspected of being involved in the Plot of the Prebendaries of Canterbury. He most likely signed the Act of Supremacy and was later pardoned. John More died in 1547. Foster-daughter of Sir Thomas More. She was raised with the More children and experienced the same education as them. She married John Clement(s) in 1526. Clement was a highly valued tutor for the More children. 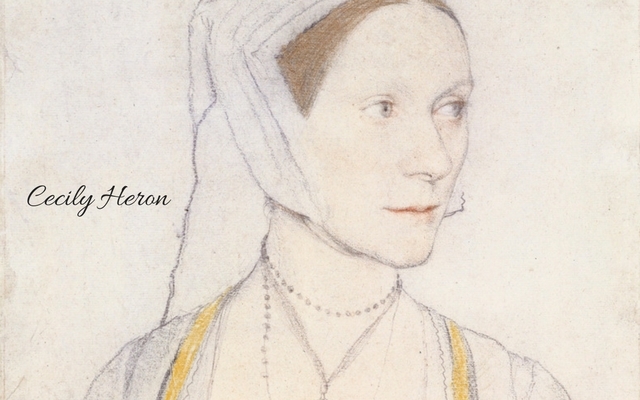 Margaret Giggs was present as the execution of Thomas More. Margaret and John left England when the very Protestant Edward VI ascended to the throne. They did not return until Catholic Mary I succeeded the throne. Upon Elizabeth’s accession they left England again. 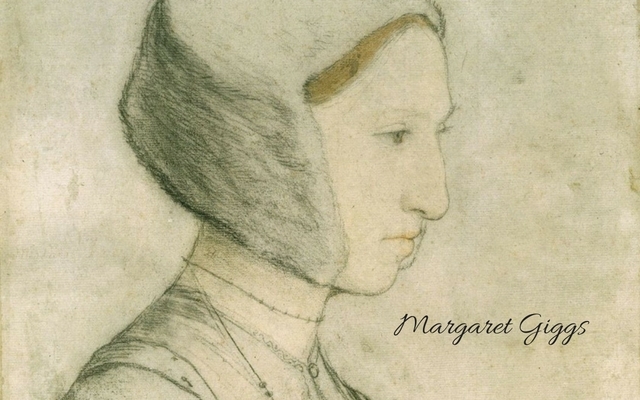 Margaret Giggs died in 1570 and her husband in 1571. 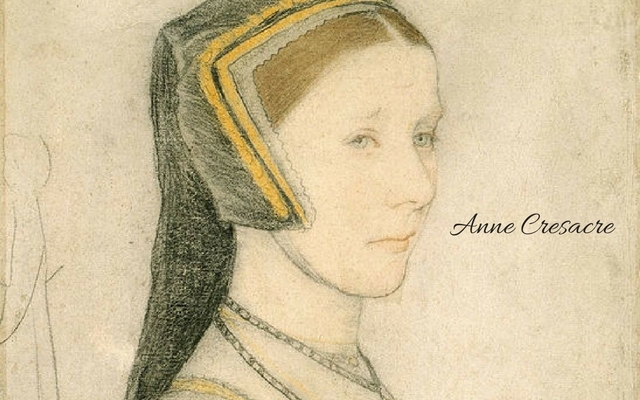 Anne was Sir Thomas More’s ward. She was just a baby when she was taken into their household. Anne, just as Margaret Giggs was educated alongside the More children. In 1527 she was betrothed to Thomas More’s only son, John. They had eight children together. 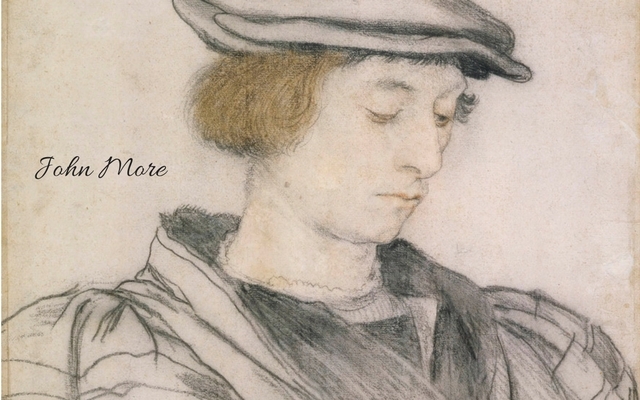 John More died in 1547 and Anne remarried. In 1559 she married George West. Anne Cresacre died in 1577. Incredibly interesting articles. Thank you so much for having them and making them available to us, your public. The lion in winter about Thomas More was so interesting liked reading more about him and family.